This event takes place Thursday 18th April at 8:00am. Free guided walk leaving from the Activity Centre, South Lake, Stanborough Road, Welwyn Garden City, AL8 6DF. This walk is a Grade 1-2 (where 1 is easiest and 4 is challenging) and is buggy friendly. Refreshments will be available afterwards. The walk takes place every Thursday at 8am. If you can’t make this Hertfordshire Health Walk, there are plenty of others to choose from. Details are available from the Countryside Management service website. 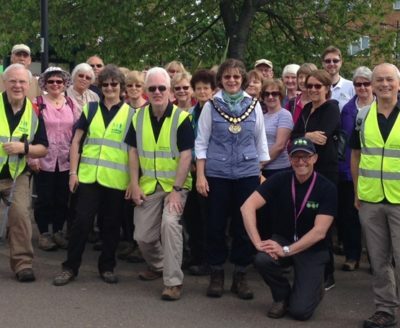 This Hertfordshire Health Walk is part od a countrywide programme of free, volunteer-led walks, which aims to help people get outdoors, get more active and reap the benefits. The walks are all sociable and you don’t need any special equipment to join in, just comfortable shoes, To register to walk either sign up online at the Countryside Management Service Website or just turn up a few minutes early for your first walk. The programme runs all year round and offers choice of different walk grades, start points and times, including weekdays and weekends or evenings in the summer. For more information and a copy of our leaflet please go to your local library, GP surgery or council office or visit the Countryside Management Service Website.